Combining luxury and informality, this former coach house is a beautiful romantic retreat immersed in the peace of wooded countryside. A place for glorious R&R and the chance to feel cosseted in a tranquil setting with sublime views, boutique standard accommodation, a cosy wood burner and a hot tub screened from view. Woodfield Coach House is located off the beaten track, in the rustic hamlet of Merrymeet near Liskeard. Follow the coast to explore the charming fishing ports of Polperro and Looe and the exclusive harbour town of Fowey with its waterfront restaurants, boutique shops and art galleries. 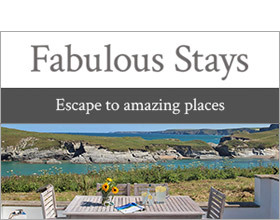 For a complete contrast head for Cornwall's dramatic north coast and visitor hotspots at Padstow and Watergate Bay with their celebrity eateries or the startling beautiful and unique landscapes at Bodmin Moor and Dartmoor National Park. Closer to home is the National Trust owned Cotehele, a fascinating Tudor house with collections, gardens, quay and estate. Approached by an unmade track (which may not be suitable for very low slung cars), which also serves the owner's neighbouring residence, Woodfield Coach House is a stunning detached home with a garden at the front and another at the rear with a patio for barbecues and alfresco meals. Inside, discover excellence in interior design, rustic charm, supreme comfort and simple elegance. Newly renovated with couples and families in mind, Woodfield Coach House is seriously special.